Blue Jasmine tells the story Jasmine (Cate Blanchett), a once wealthy Manhattan socialite who struggles to pull together a new life for herself in San Francisco after her philandering husband Hal (Alec Baldwin) is convicted of fraud. At the heart of this film is the fascinating performance by Cate Blanchett, nominated for Best Actress. The film is also nominated for Academy Awards for Supporting Actress (Sally Hawkins) and Original Screenplay. The name alone almost writes this cocktail: something blue and something jasmine. 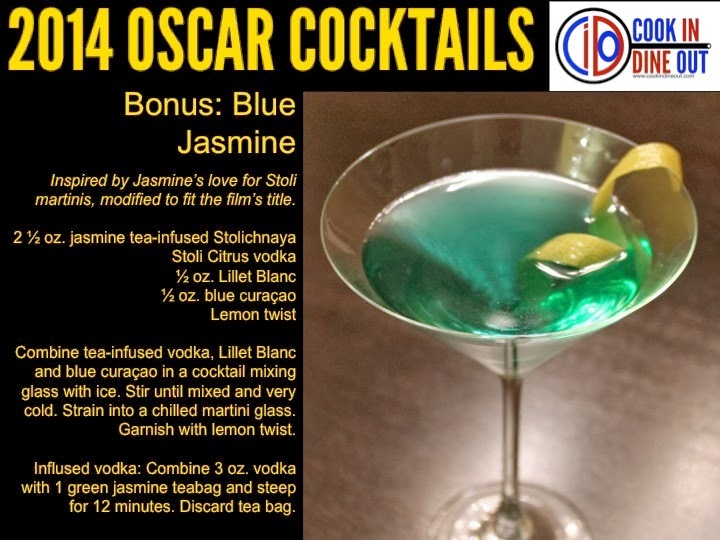 Given Jasmine's love for Stoli martinis, I infused Stoli Citrus with jasmine tea and combined it with blue curaçao for color. Lillet Blanc and a lemon twist complete the martini. 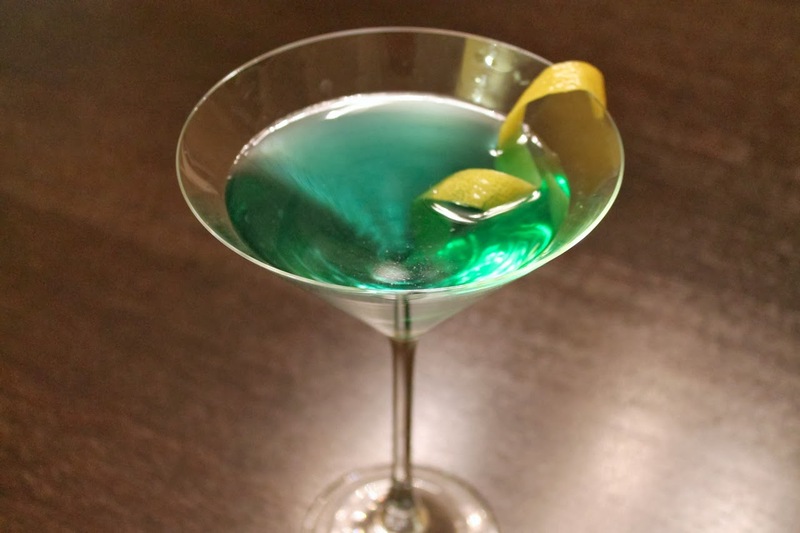 Combine tea-infused vodka, Lillet Blanc and blue curaçao in a cocktail mixing glass with ice. Stir until mixed and very cold. Strain into a chilled martini glass. Garnish with lemon twist. To infuse vodka: Combine 3 oz. vodka with 1 jasmine green tea teabag and allow to steep for 12 minutes. Discard tea bag. Another clever recipe. Your Oscar cocktails are the best. Kudos!